#Verisign post fallout : Who gave #domain investors the "domain scalpers" name first? :DomainGang #Verisign post fallout : Who gave #domain investors the "domain scalpers" name first? Verisign operates the .COM registry. By making a reference to “ticket scalping,” which involves the unlawful profiteering from the sale of surplus tickets at a price much higher than their face value, the Verisign post fails miserably to justify its choice of an analogy. It seems that Verisign is salivating over the $1 billion plus dollars that allegedly represents the annual revenue of the domain aftermarket and sales. That billion dollar figure, though questionable, is an attempt to demonstrate a lucrative market that – supposedly – hurts the consumer seeking to register a simple .com domain. 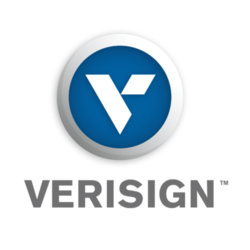 In doing so, Verisign is shifting the public light away from its contractual agreements, that once renewed will secure a higher pricing. Who came up with the reference to domain investing and reselling as “domain scalping” first? We had to use Google for this research feat, and the oldest public reference comes courtesy of Web Hosting Talk (WHT), a forum with its own domain discussion section, where yours truly and other domain investors hang out in the early 2000s. ICANN shares the blame with domain name scalpers – I wouldn’t want to be someone looking to register a domain name today for anything other than a unique brand name that is already established. The whole domain name issues is a morass of trouble and the major share of the blame goes to ICANN, whose ineptitude at responding, to , much less anticipating the needs of the Internet, should be a criminal offense. The people behind ICANN are one step above Darwin Award recipients. So many of the problems could have been prevented with some forethought and planning. Unfortunately, ICANN seems incapable of either and disproves the adage that hindsight is always 20/20. Five years ago, when I was considering whether to create my diving site, I was checking for available names. I found most particularly desirable ones had already been taken, many by someone in town who obviously had no intention of using them (I think they were a marketing company of some sort). I did hit on some likely possibilities and kept them in mind. I got busy building servers and such and didn’t do much for the next few months. When I finally decided to do it, I found one leading choice that I had mentally discarded had been recently registered. I was lucky. I still had a choice that rolled off the tongue and expressed what I wanted. I registered it and have kept it, adding the .net and .org versions last year simply because it was easier and cheaper than defending trademark violations. I’ve had a couple of those even without them having a similar domain name. I have never cared for scalpers. Ticket scalpers or domain name scalpers, they’re all the same. With domain name scalpers, however, there may be something that can be done in certain specific cases. The following is entirely speculative on my part and I cannot say it will work. However, being familiar with U.S trademark laws and requirements as well as copyrights (originally out of intellectual curiosity and later out of necessity), and ICANN UDRP domain reassignment of ownership cases, I see where it might. It is gambling of a sorts, but the stakes to get in to the game are low and the pot can be large. Since the early days of the commercial Internet, enterprising investors were seen with loathing and disbelief about the legitimacy of their actions. Excluding blatant acts of trademark infringement, the process of registering a domain name is clear: who comes first, gets served first. Now, Verisign is attempting to shift the onus onto the core economies of the domain industry, such as large portfolio holders: HugeDomains, Frank Schilling, and others – by doing so, they are clearly taking an aggressive stance against loosely organized attempts by industry members to protest the extension of the current contract for dot .COM domains. Meanwhile, the domain names DomainScalper.com and DomainScalpers.com have been registered since 2002 and 2005 respectively.